Obesity, like all complex diseases, is believed to have both a genetic and an environmental component. Data supporting an important role for environment in obesity come from the recent rise in the incidence of obesity over the past few decades. This review will present a new hypothesis for the etiology of obesity: the obesogen hypothesis. 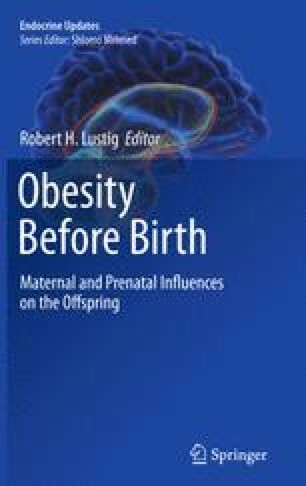 This emerging hypothesis states that susceptibility to develop obesity is due to exposure to environmental chemicals during development in utero and the first few years of life. Proof of principle for this hypothesis comes from smoking during pregnancy, which results in increased weight gain in children. There are examples using animal models for developmental exposures to chemicals with estrogenic activity [diethylstilbestrol, genistein (soy phytoestrogen) and bisphenol A (polycarbonate), tributyltin (a component of PVC)] and several pesticides resulting in increased weight gain later in life. An important aspect of the obesogen hypothesis is that obesity due to environmental exposure can be prevented by reducing exposure. Thus, this new hypothesis changes the focus from treatment to prevention of obesity.